The Indianapolis Star today reports that Indianapolis Mayor Greg Ballard is threatening to veto a measure by Libertarian Councilor Ed Coleman that licensed gun owners be able to carry their guns into city parks like they can in state and federal parks. The Mayor's announcement was a foolish political mistake, one that a seasoned politician would not make. Let me explain. It was apparent from the initial public reaction to Councilor Coleman's highly publicized gun proposal that it probably was going to be opposed by a significant majority of Indianapolis residents. Someone who is politically naive might jump on the majority bandwagon on such an issue, thinking doing so was the politically wise move. Indeed it is just the opposite. In my political science class, I teach about a concept known as the "voting issue." I pick an issue for the class where the polling on the issue might be lopsided. Very often the issue I pick is whether to pass a law providing for a 7 day waiting period to buy a gun. Then I give them a poll that says 80% favor and 20% oppose the waiting period. I ask my class, looking at it strictly from a cynical political perspective, which side would it be best to be on in terms of helping the elected official win re-election. The students, not understanding campaign politics, almost always pick the 80% side as the one offering the most political advantage. The correct answer, however, is the 20% side. Why? Because to that 20%, the issue of the waiting period is a "voting issue." To the 80% in favor of the waiting period, they aren't going to go out and vote against the person because of the issue. To the 20% on the other side, however, it is an issue that they will remember and vote on in the Fall. The concept of the "voting issue," an issue that affects your vote for or against a candidate, is a basic principle of campaign politics that virtually every seasoned politician understands. It is something though that Mayor Ballard and apparently his highly paid political consultant, do not comprehend. If Mayor Ballard did not want to support the Coleman proposal, which I'm fairly certain given his history opposing gun rights, wise political advisers would have counseled him to publicly express support for gun rights while letting the Council shoot the measure down. 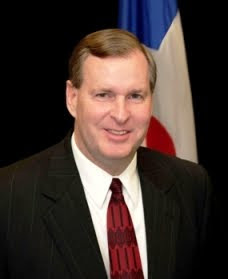 Instead Mayor Ballard came out with guns blazing, issuing a press statement that will be seen as a shot at gun rights advocates, people who vote overwhelming Republican. That brings me to a second fundamental rule of campaign politics violated by the politically inexperienced Mayor Ballard - never alienate your political base. If Mayor Ballard thinks gunowners, i.e. Republicans, will forget about his position on this and other gun issues come November 2011, he's in for a rude awakening. I love it when RINOs get outed for who they really are. This administration is an absolute disaster. Further, it demands note that the leadership of the U.S. military is overwhelmingly opposed to civilian gun ownership. Adulation of our military is horribly self-defeating. I believe the FOP is in support of Ed Coleman's proposal. Similar to Cato's comment, going against your public servants when you're specifically talking about public safety is horribly self-defeating. I know military leaders and men in uniform who whole-heartedly support the right of American citizens to keep and bear arms, so I guess it depends on who one talks to. If approached, I am fairly sure that the political action arm of the Gun Owners of America would be pleased to support Councilor Ed Coleman. Where NRA goes along to get along, GOA does not.